Robert J. Stickles has been named the interim president of Morris Catholic High School in Denville for the 2016-17 school year. The announcement was made last week after Morris Catholic’s board of trustees and the Diocesan Schools Office worked together in conducting a search to select an interim president before the school year began. Parishioners of St. Andrew the Apostle Parish in Clifton welcomed Bishop Serratelli, who made a pastoral visit to the parish July 23, where he celebrated the Vigil Mass for the Seventeenth Sunday in Ordinary Time. Bishop Serratelli made a pastoral visit to Our Lady of Mount Carmel Parish (OLMC) in Swartswood July 24 where he celebrated Mass for the Seventeenth Sunday in Ordinary Time and consecrated the church’s new altar — part of an extensive renovation of its worship space. The Bethlehem Hermitage in Chester welcomed Sister Maggie Garcia as a candidate sister last month during a Mass at which she received her habit. In her time of discernment and formation in the ancient Eremetical life of the Church, Sister Maggie will experience life as a hermit. Her days will begin at 4 a.m. with several hours of prayer and worship, including Adoration of the Blessed Sacrament in her individual hermitage and Mass in the chapel. Suddenly, young people have been appearing mysteriously in front of the large white statue of Jesus that stands tall on the spacious front lawn of St. Paul Inside the Walls: the Diocesan Evangelization Center at Bayley-Ellard in Madison. Periodically, they have been spotted holding up their Smartphones toward the statue, while looking into the screens and tapping them furiously. High school and college students no longer have to take a vacation from learning about their Catholic faith on these hot summer nights. Anytime, anywhere, Faith on Fire, an engaging new locally produced video series, is a mere click away on the Internet to give young people straight talk about a range of real-life topics on their Catholic faith and situations relevant to them, including happiness, their life’s purpose and Catholic rites and rituals. Does fashion design have anything in common with a religious vocation? It did for Alida Taylor, a resident of Casa Guadalupe, the Diocese’s house of discernment for women in Clifton, because she said they share one important similarity — beauty. Bishop Serratelli made a pastoral visit to St. Patrick Parish in Chatham July 17 where he celebrated Mass to mark the 16th Sunday in Ordinary Time. 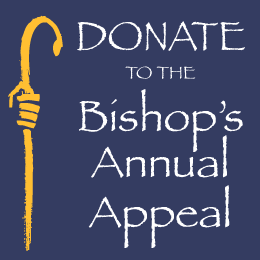 With the theme “Serving Christ Among Us,” the 2015 Bishop’s Annual Appeal raised $4,116,170 in pledges — the largest amount in Appeal history — to help fund diocesan Catholic Charities agencies, seminarian education, inner-city Catholic school students and Nazareth Village in Chester, the diocesan priests’ retirement residence. Our basic religious rights, embodied in the First Amendment, are under attack on many fronts in our increasingly secularized society. That’s why it was important last week that a House of Representatives committee moved to place legislation known as the First Amendment Defense Act (FADA) — which has the full support of the U.S. Conference of Catholic Bishops (USCCB) — before the full House of Representatives. Bishop Serratelli made a pastoral visit to St. Lawrence Church in Chester July 3 where he celebrated Mass for the 14th Sunday in Ordinary Time. ﻿Bishop Serratelli made a pastoral visit to St. Thomas More Parish in Convent Station where he celebrated the vigil Mass marking the 14th Sunday in Ordinary July 2. Bishop Serratelli made a pastoral visit to St. Michael Church in Netcong where celebrated the vigil Mass for the Fifteenth Sunday in Ordinary Time July 9. During the Mass, the Bishop blessed 50 young people and their chaperones who will be traveling to Connecticut on a mission trip. The young people will be volunteering with Catholic Heart Work Camp. More than 20 years ago, Pope Emeritus Benedict XVI — then Cardinal Joseph Ratzinger — was already warning against “the dictatorship of relativism.” This philosophy has laid the groundwork for ever-growing social movements that threaten the human life and the traditional family like never before in this modern age, such as sexual promiscuity, homosexuality, transgenderism and abortion. During the Sacred Triduum, the holiest days on liturgical calendar of the Church leading to Easter this past spring, Nicholas Berg took a photo showcasing the source and summit of the Catholic faith. The photo he captured was during the Consecration of the Eucharist. Msgr. Martin McDonnell is seen elevating the Host with Deacon Tom Sullivan elevating the chalice and Father Ed Reading concelebrating the Mass in Good Shepherd Church in Andover. In the wake of violence across the nation last week, the Knights of Columbus have issued a campaign encouraging people to join them in praying for peace. “The violent episodes of the past week have shocked the conscience of our country,” said Carl Anderson, supreme knight. Father Enrique Corona, pastor of St. Michael and St. Agnes parishes in Paterson, cracks a joke on camera. Wearing headphones, he sits behinds a microphone, sips a cup of coffee and reads a question by a viewer of his Spanish-language video show, streamed live weekdays on the social media website Facebook.